Andy Murray could make an astonishing comeback to top-level tennis after revealing he is "pain-free" from his recent career-saving hip operation. The former world number one appeared to be finished after being forced to undergo hip resurfacing surgery in January - his second hip operation on the troublesome hip in less than a year - having being blighted by the problem since July 2017 after losing to Sam Querrey in the Wimbledon quarter-finals. 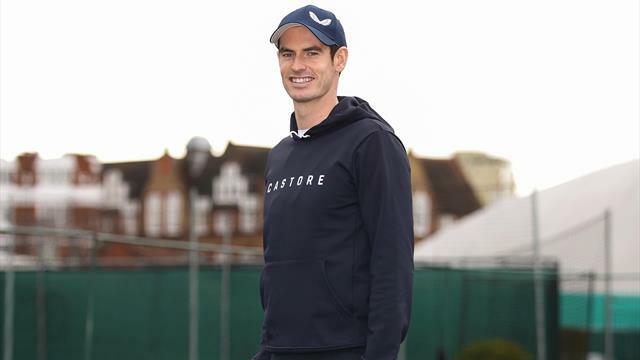 But 31-year-old Murray, looking fresh and focused at a sponsorship event on Tuesday morning, cut an altogether more upbeat figure during a press conference at Queen's Club when he provided a positive update on resuming his Grand Slam-winning 14-year career. "I want to continue playing for sure. I have no pain in my hip anymore," said Murray, who is no longer on crutches. "The rehab is slow but going pretty well. I just need to wait and see how things progress. If it’s possible I’d love to compete again." Before losing to Spain's Roberto Bautista Agut in the first round of the Australian Open at the start of the year, an emotional Murray admitted that he had been living in pain with putting on his socks and shoes giving him grief during his daily routine. The Scotsman laid bare his struggles, announcing he was planning to retire after Wimbledon but that the Melbourne tournament may be the last of his career. "All of the surgeons that I've spoken to have been very honest about that and we just have to wait and see." Murray said he might consider playing doubles, like American Bob Bryan did after a similar procedure, as it put less stress on the hip. "I think for singles, most likely it would be (too soon to play at Wimbledon). I can't say for sure," Murray added. "But doubles, I mean Bob Bryan was back playing at the Australian Open after 5-1/2 months so Wimbledon comes pretty much 5-1/2 months after I'd had my operation." "I communicate with him daily about starting the rehab that he was doing and things that worked and didn't." Murray also said he would give himself "seven or eight months" before taking a call on whether he would continue playing competitively. "By then I'll know definitively this is as good as it's going to get. That's kind of the time frame that I've set myself in my head that if things aren't going well," he said. "It takes time for muscles and things to heal properly and me to get used to moving around with it. But I'd say that would be a fair amount of time before I'd be able to say definitively this isn't good enough or this actually feels great." It seemed certain that the Dunblane player was facing the end of his golden career as a number of leading tennis players - including Rodger Federer, Novak Djokovic and Rafael Nadal - paid tribute to the Murray via a video on court after his five-set defeat to Agut. It was a typically heroic match that saw Britain's greatest player battle back from two sets behind in the Melbourne heat before injury caught up with him, but now there appears to be the prospect of a return to the sport that has brought him two Wimbledon titles in 2013 and 2016, and a US Open victory seven years ago. 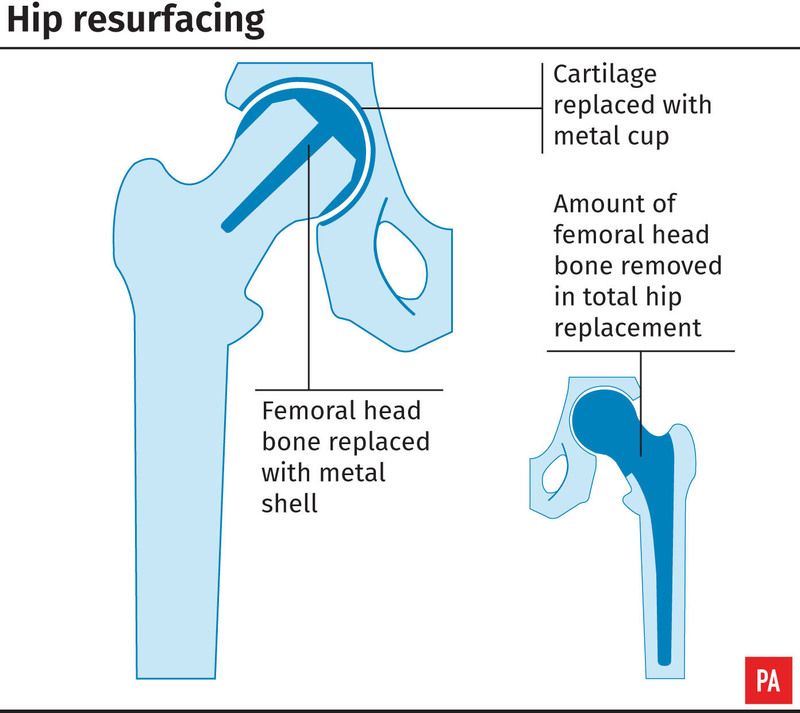 The resurfacing procedure is the second surgery the two-time Olympic champion has had on the joint – however, despite extensive rehabilitation, the problem persisted, leaving the resurfacing surgery as the only option to extend his career.